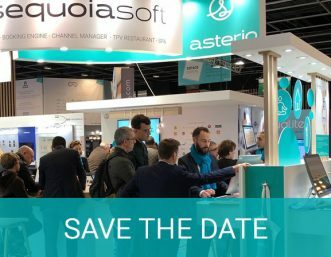 We're delighted to take part in the Food Hotel Tech fair in Paris for the third year running, on the 18th and 19th March. 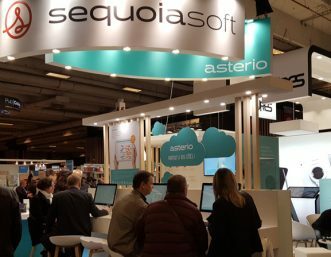 Meet us et stand D09 (right by the entrance 😉) to find out about Asterio, our all-in-one software that will save you time and simplify your day-to-day tasks. Why come to the 2019 Food Hotel Tech fair? Food Hotel Tech is a dedicated forum for hospitality and restaurant professionals looking for new technological solutions to give their property a boost. Exhibitors, conferences, activities... Food Hotel Tech offers a broad and relevant range of digital tools and technological innovations dedicated to the HORECA industry. You can schedule an appointment with us at Food Hotel Tech by filling in the contact form at the bottom of the page. 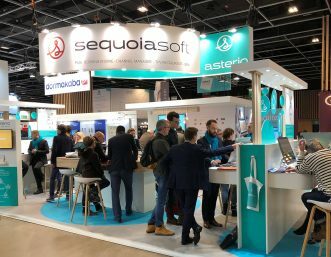 Sequoiasoft looks back on its 5 days at the EquipHotel 2018 show that took place from the 11th to the 15th November. We presented Asterio and its new features, along with our other software dedicated to the hotel and restaurant sector.